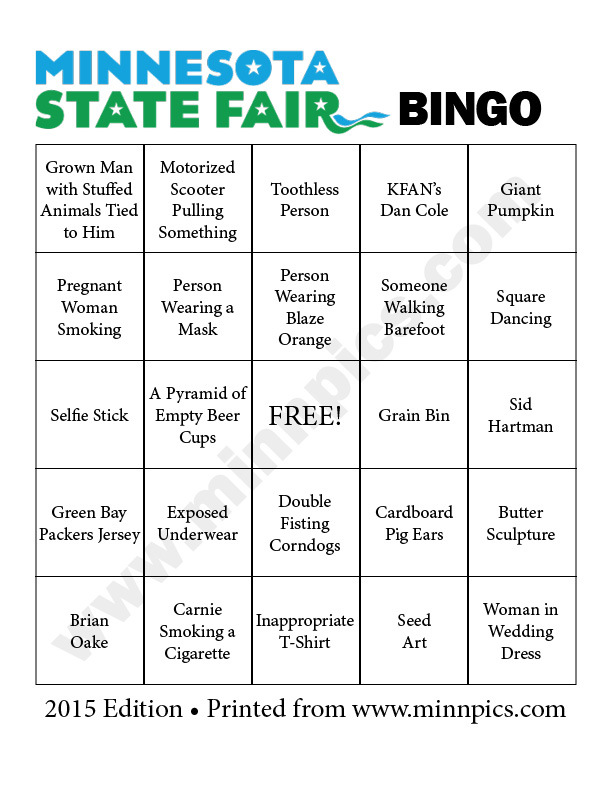 The Minnesota State Fair opens its gates tomorrow and the means that it's time for the 2015 Minnesota State Fair Bingo Cards. 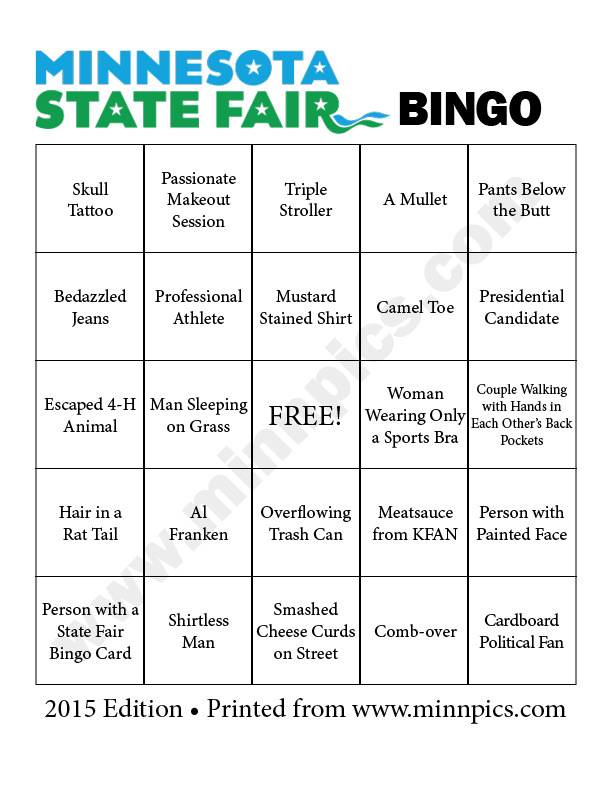 Download all four versions below and take the people watching at the Minnesota State Fair to a whole new level. 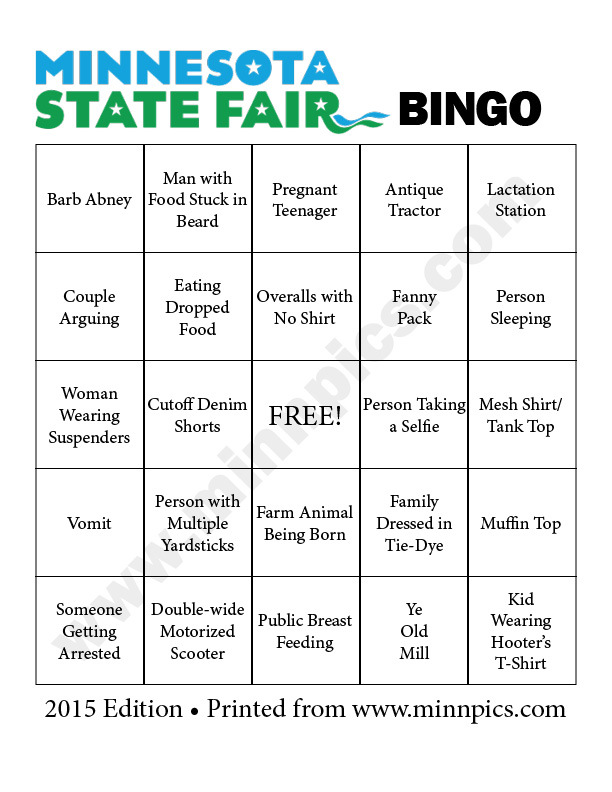 This year you can look for all sorts of Minnesota State Fair Bingo stereotypes as well as local "celebrities" such as WCCO's Chris Shaffer, KFAN's Dan Cole, KFAN's Meatsauce, WCCO's Sid Hartman, Barb Abney from Go96.3 radio, Bob Collins from Minnesota Public Radio and more! Have fun spotting Minnesota State Fair Bingo favorites like smashed food, giant vegetables, missing teeth, front butts and much, much more! 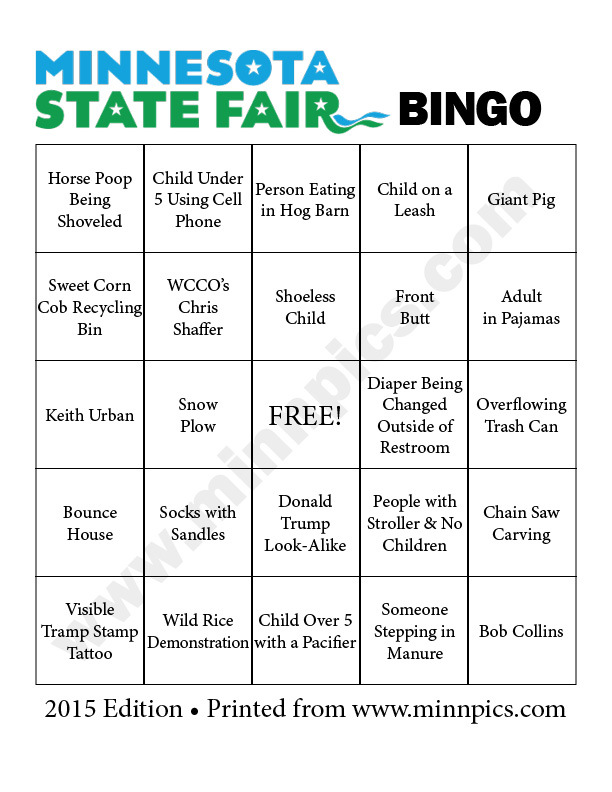 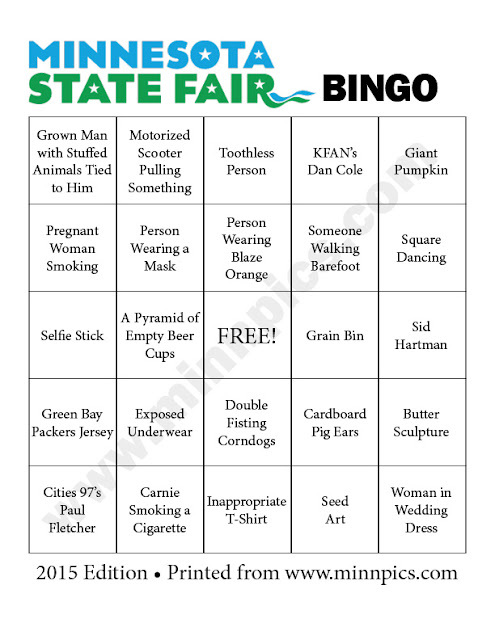 Download, print and share the only Minnesota State Fair Bingo cards that matter.